A concealer is a staple product in my makeup kit. 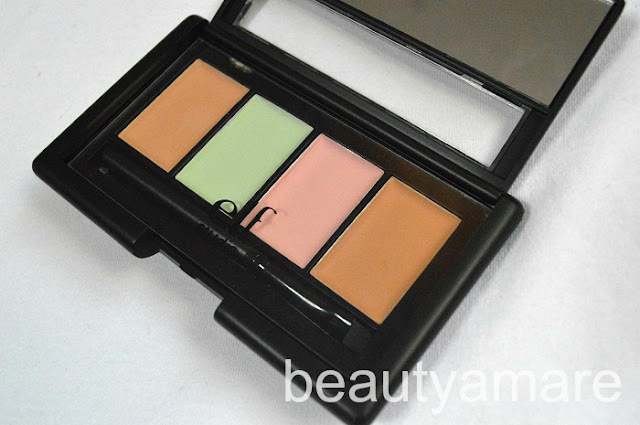 Getting the right concealer need trials and errors. Even though brands may offer the same shade but the texture, the color, and the coverage varies. I have had used a few concealers but I'll do a review on the concealers I've used recently. I hope this review helps you trim down your choices of concealers to try. Enjoy! 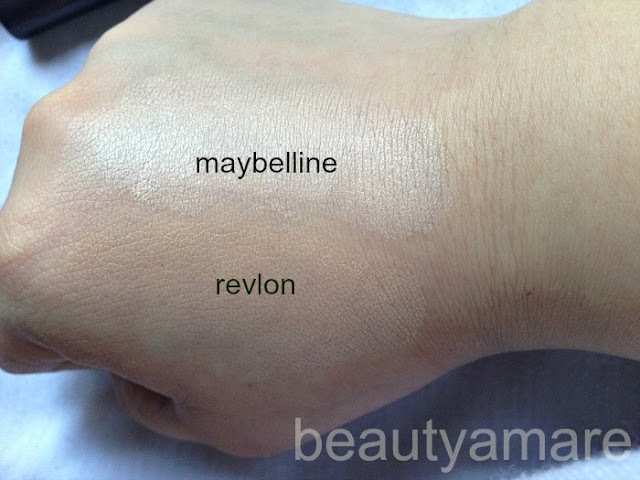 My Skintone: Neutral Undertones (Light Medium) with soft beige, a tinge of yellow or pink complexions. My veins appear green and blue at the underside of my arm. How to: Apply under eyes, over imperfections like pimple scars, dark spots, and skin redness. Blend using fingertips in gently patting/dabbing motion. Try to select a concealer the same or slightly lighter than your skin tone particularly for the under eye area. 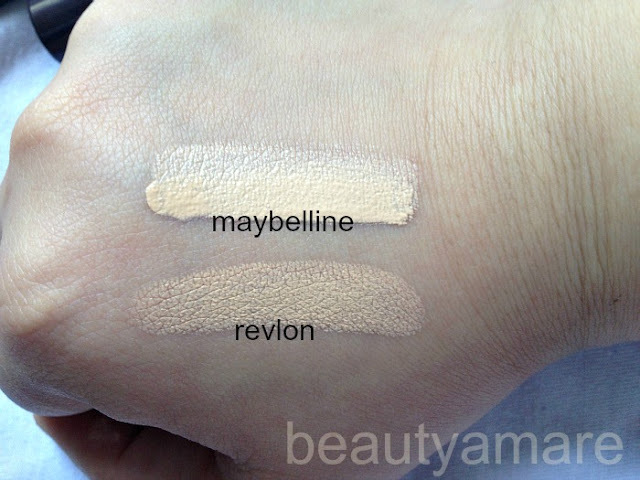 Maybelline Pure Concealer Mineral is available in two shades only in light 01 and medium 02 while Revlon photoready concealer is available in 6 shades (fair, light, light medium, medium, medium deep). MAYBELLINE PURE CONCEALER: Seduced of its skin-friendly contents by adding minerals and vitamins, a heaven goodness to those who have sensitive skin like me. I tried this liquid concealer after finishing a stick of the Revlon Photoready concealer and I shouldn't have bought this because it has a minimum coverage on my under eye circles and did not cover my forehead pimple scars at all. This doesn't have a staying power to a humid weather like Singapore or Philippines. 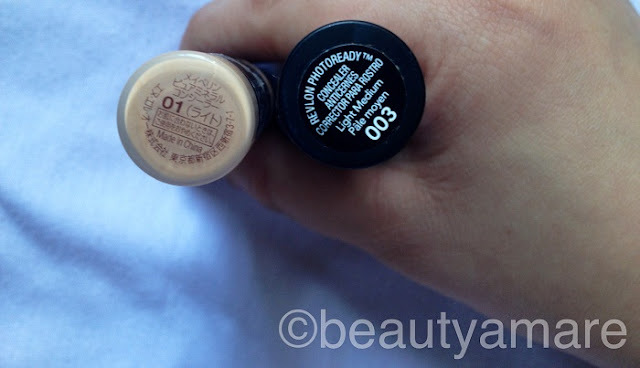 REVLON PHOTOREADY CONCEALER: A standing ovation to this drugstore concealer. As I've said, I tried to change to a new concealer to experiment which is better but I totally regret since this concealer is the best drugstore concealer I have used so far. Almost on par to MAC Studio Sculpt Concealer and Sephora Concealer, which means I saved a lot while enjoying almost the same quality with mid high end brands that I have used. Even though it does not have additional minerals but at least it's fragrance and paraben-free. A plus point to it's SPF20 protection. Revlon photoready concealer is creamy, so you'll have to tap/dab it properly to blend naturally on your skin. This does stay long for more than 8 hours (even when you are sweating). A total fighter for humid weather like Singapore or Philippines. 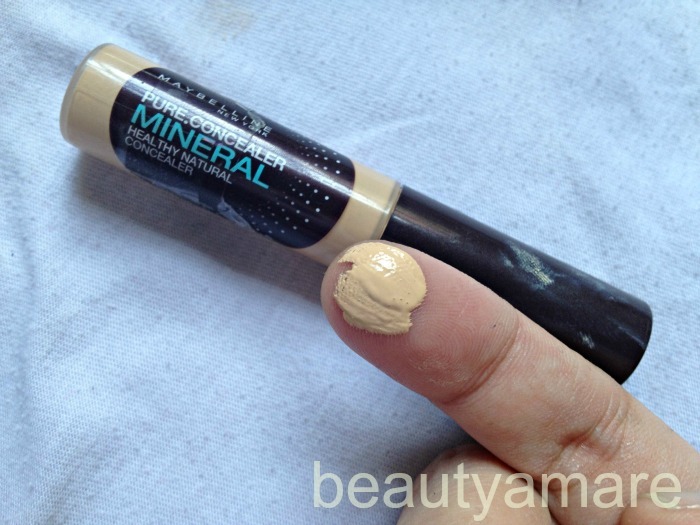 Maybelline Pure Concealer Mineral maybe good for those who have minimal redness problem with sensitive skin but not recommended for those who have dark under eye circles and pimple scars. Revlon Photoready Concealer is the winner in this match. Highly recommended for those blemish-prone women. Covers dark spots and pimple scars and works very well with humid weather. I am in love with this concealer. 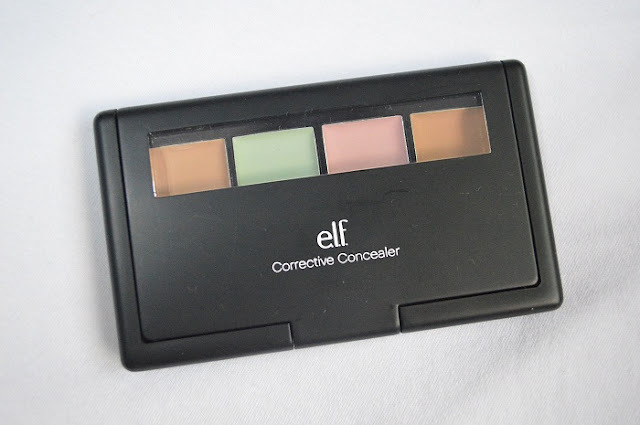 I had high hopes for this concealer palette but turned out to be the worst concealer I have used. Extremely sheer, zero pigmentation. Even though I rubbed a thousand times, I can't get anything on my finger. The brush is pretty much useless also. This may work with others, but not for me!!! I will never recommend this concealer. thanks Janet!Merry Christmas to you and your family! Hi! Thank you for the good review. At least now I know what to buy. May I just ask, what foundation for you is good? Based on your description., I believe we have the same skin tone. I'm planning to buy concealer and foundation that will best cover up my blemishes and pimples. Thanks! 1. Etude House's BB creams seems to be grey-ish when applied. 2. 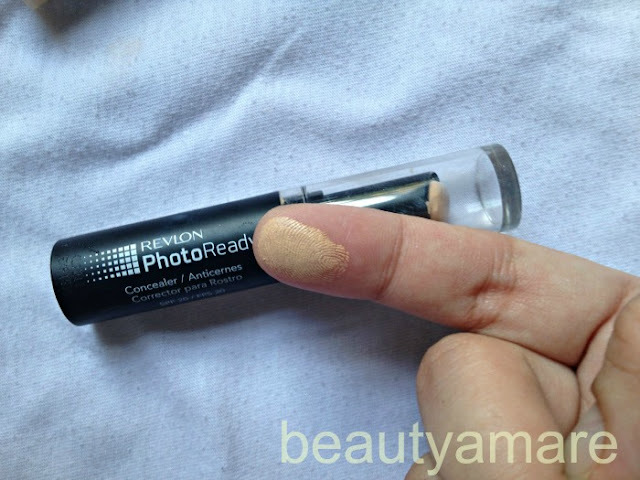 Revlon's Photoready foundation.I love that it is a little bit shimmery. You just have to wait a few minutes first before you apply the matte powder to sip in your skin because photoready seems to be a little bit greasy for me. 3. Mayblline's BB Cream. Unlike their concealer, i love their BB cream. Here's my review about it. 4. NYX HD foundation works ok too. I mean you get what you pay for. A little bit oily. Have to put primer first, then the foundation, and powder. 5. I used stila too. They are somewhat good but not great compared to MAC Cosmetics studio fix since we are talking to how much we are paying for. 4. If your pimples are not that much. Maybe you can use the concealer then compact powder. MAC cosmetic's lightful works really good on me.